Small plates are fun. When there’s feta cheese in one of the plates, it’s more fun. Traveling around Irvine, circumstances had me skip lunch which meant I wanted a satisfying dinner. Mexican & Indian were out because I’ve been having it, I turned to Mediterranean. 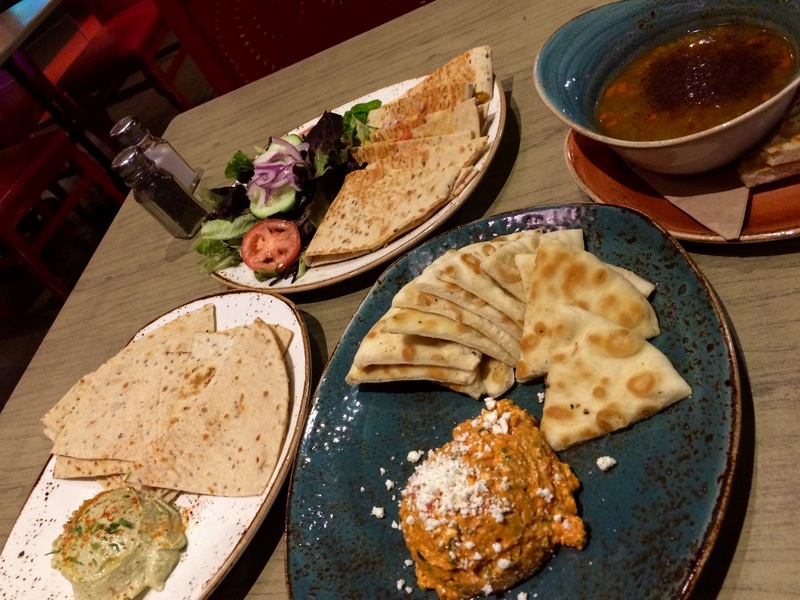 At Luna Grill, Irvine, I ended up ordering a bit more than I could eat but, desire got the better of me. There’s a specific name for this bread, which I don’t remember and can’t find online. This breas was the best pita I’ve had. It was almost like a better version of naan. And with spicy feta, the standout plate. Don’t ask. It wasn’t special either.